FCA Co-Op | Launch LotLinx Automotive AI Campaigns with PAP Funds! 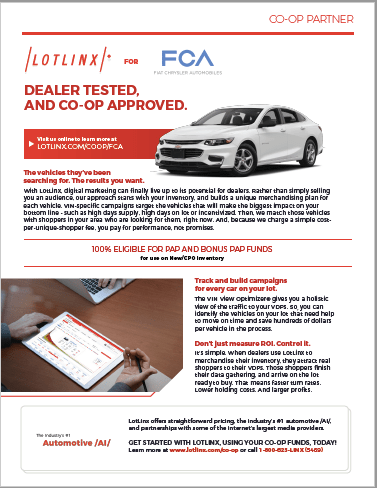 LotLinx is 100% eligible for use with FCA Co-op PAP and Bonus PAP Co-op funds for New/CPO inventory. Launch LotLinx Automotive /AI/ campaigns today!